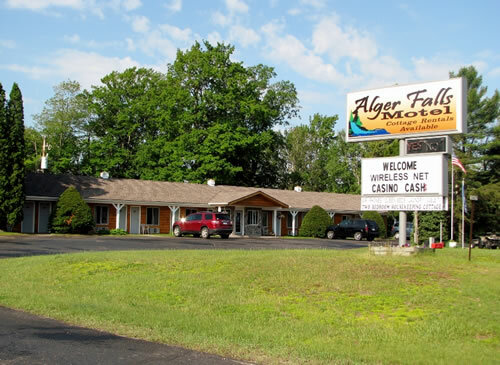 Alger Falls Motel of Munising, MI has 16 clean, comfortable, and continually updated rooms. They also also have 2 Housekeeping Cottages / Rental Cabins with fully equipped kitchens. Open year-round in Munising, Michigan. Guests can also enjoy their nearby island. Filled with history and lore, the Grand Island National Recreational Area offers a host of activities for the adventurous visitor. Winter visitors will enjoy snowmobiling, skiing, and ice fishing.